I must admit I fear a shell-shacking for England at the hands of the Springboks on Saturday. 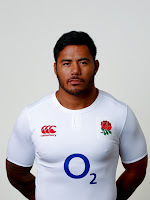 My guess is that the best plan Eddie Jones managed to come up with this week was, in the absence of the Fabulous Vunipola Boys, to launch Manu Tuilagi at the midfield for as long as possible - Tuilagi's subsequent "minor" groin injury first forcing Jones to select instead Ben Te'o (with all of 28 minutes of rugby this season for Worcester) to try do the same job, and then allowing Chris Ashton a return to the bench as the perennially unfortunate Tuilagi was declared unfit to participate. While a Farell-Te'o-Slade midfield is somewhat experimental and is unlikely to last longer than an hour, it is upfront where I fear England are more likely to struggle. The front row looks a tad fragile and Malcolm Marx against Dylan Hartley has the potential to be one of the biggest mismatches in international rugby history. And, while Mark Wilson's selection in the back row is to be applauded, I can't for the life of me figure out what Brad Shields has shown so far this season to merit his place at blindside. Wilson at 6 with the in form Zach Mercer at 8 would have been a better balanced and more dynamic selection. I've nothing against Shields per se but, call me old fashioned, I do like to see players actually earn their England caps. The Springboks, by comparison, look awesome upfront. This could get messy.